Echo’s carefully structured world falls apart after her father leaves for the city and mysteriously disappears. 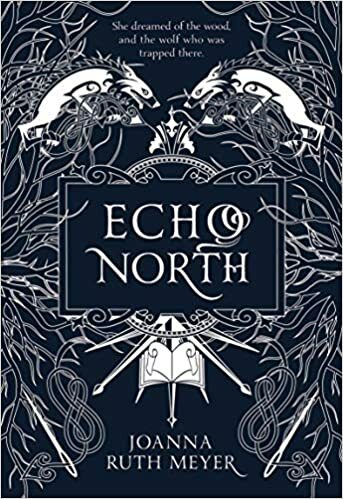 Believing he is lost forever, Echo is shocked to find him half-frozen in the winter forest six months later, guarded by a strange talking wolf– the same creature who attacked her as a child. The wolf presents Echo with an offer: for her to come and live with him for a year. But there is more to the wolf than Echo realizes, including a history she can’t remember. In his enchanted house, Echo discovers centuries-old secrets, a magical library filled with books-turned-mirrors, and a man named Hal who is trapped inside of them. As the year ticks by, Echo must solve the mystery of the wolf’s enchantment before it’s too late–otherwise Echo, the wolf, and Hal will be lost forever.